Income Tax Return (ITR) Filing: This is not a rocket science that the best time to start planning your income tax saving investments is the beginning of the financial year. But, according to the 'Indian Stretchable Time', most income tax payers often procrastinate till the last quarter of the year. Income Tax filing: To make the right choice a few factors have to be kept in mind. Source - PTI. Income Tax Return (ITR) Filing: This is not a rocket science that the best time to start planning your income tax saving investments is the beginning of the financial year. But, according to the 'Indian Stretchable Time', most income tax payers often procrastinate till the last quarter of the year. Eventually, they end up making hurried decisions and sometimes losing the hard-earned money they could have otherwise saved with better investments. Not just tax saving, investments can also help you fulfil long-term goals by saving a decent amount and growing it. In other words, tax-saving investments should be used to build wealth as well. But, what are the options available? Well, Section 80C of Income Tax Act 1961 alone offers investment options like EPF (Employee Provident Fund), PPF (Public Provident Fund), NPS (National Pension System), Sukanya Samriddhi Yojana, ULIP (Unit Linked Insurance Plans), among others. Then, of course, there are other sections that allow you to save more than the Rs 1.5 lakh limit of 80C. So, to make the right choice a few factors have to be kept in mind, believes Archit Gupta, Founder & CEO ClearTax. 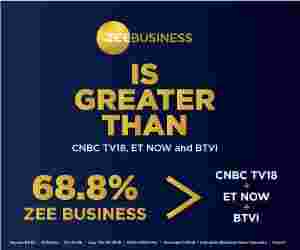 Gupta told Zee Business Online, "Key parameters which may help an individual to choose an ideal tax saving plan are returns, the extent of tax saving, safety, flexibility, liquidity, costs, transparency, ease of investment and taxability of income." He said that generally, the extent of tax saving and risk-return are the most important factors to select the most ideal tax saving plan. For example, Public Provident Fund or PPF may offer a low return but comes with lesser risk as the rate of interest is fixed. This makes it one of the most sought after tax saving options in India despite the lock-in period of 15 years. Meanwhile, people who are looking at aggressive returns can explore ELSS as these schemes offer higher returns in a shorter period. "For instance, ELSS and PPF can be considered as the investment are eligible for deduction under Section 80C and also, they offer a tax-free return. People who have an appetite for high-risk can invest in ELSS while those who are averse to risk can invest in PPF," Gupta added.